Oliver Kahn praised Bayern Munich coach Jupp Heynckes, while saying Borussia Dortmund have "many problems". 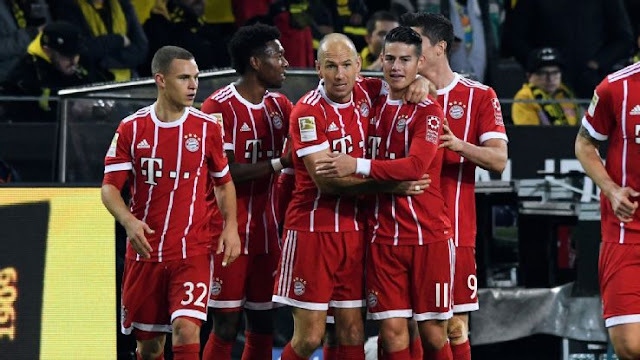 Bayern Munich great Oliver Kahn believes his former club faced Borussia Dortmund at the perfect time, as he lauded the return of Jupp Heynckes. Heynckes' side moved four points clear atop the Bundesliga after a 3-1 victory in Der Klassiker on Saturday. Since the 72-year-old Heynckes returned to Bayern for his fourth stint, the German giants have won seven straight games. Kahn feels his former club's meeting with Dortmund came at an ideal time, with Peter Bosz's men dealing with "many problems". "I think the Heynckes effect, meaning the signing of Jupp Heynckes as head coach, was very useful," the former Germany goalkeeper told Omnisport, speaking at the Golden Foot Hublot Award in Monaco. "Heynckes arrived and the team went on to win six or seven straight, I think. "That shows the quality Bayern Munich have and the timing to play Dortmund was perfect for them. "Borussia is facing many problems at the moment, especially on the defensive end of the pitch and Bayern used that to their advantage. "While Dortmund is still looking to perfect their style of play, and looking to get in shape and connecting with the new head coach, with Bayern Munich it's a different situation. "Jupp Heynckes knows the club and he was accepted 100 per cent from the very first day." Dortmund are winless in four league games and slipped to third, six points behind Bayern.